According to “Changing the musical object: Approaches to performance analysis” by Nicholas Cook, broad cultural developments associated with poststructuralism and postmodernism have placed an emphasis on reception—on performance rather than on inherent meaning—but the reflection of these developments in musicology has been skewed by that discipline’s retention of the concept of music as written text. Cook argues that just as writings about music influence performances, so performance style has an impact on musicology, creating the prospect of a historiography predicated not on compositional innovation but on music as it is experienced in everyday life. Daniel Leech-Wilkinson further explores the process wherein developments in performance precede changes in verbal interpretation in “Musicology and performance”; his examples are drawn from Schubert’s lieder and Boulez’s Le marteau sans maître. 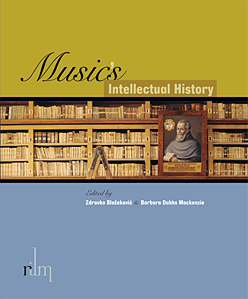 Both essays are included in our recently-published Music’s intellectual history. Below, a performance of the final section of the Boulez work by the Montreal-based group Codes d’Accès.